Let us guide you to world-class service and increased revenue and profits. Wynne Business was founded over 20 years ago when the award-winning Preston Wynne Spa in California decided to share its unique and proven formulas, tactics and tools for turning customers into passionate lifelong fans. Founder Peggy Wynne Borgman retired in 2015, leaving long-time colleague Lisa Starr to continue delivering practical advice to spas and wellness businesses of all shapes and sizes. Spas, salons, wellness centers, and other beauty-related businesses are all about simple solutions for the guest, but they are anything but simple to conceptualize or operate successfully. Creating world-class Customer Experiences goes far beyond delighting customers. Employees prefer to work with happy customers, so great customer experiences reduce employee turnover and make it easier to recruit new talent. Happy customers are loyal, generate positive word of mouth, and write glowing reviews. Attracting, retaining and growing your staff has become an immense challenge in the gig environment, but is obviously essential to the success of the business. Solid, consistent staffing and loyal, delighted customers are the foundation of today’s marketing plan, and positive public feedback, which boosts both profits and company value. Lisa has over 30 years of experience in the beauty industry, in all aspects from technician to regional manager. 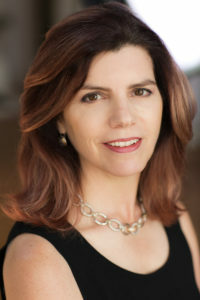 She has spent the last 18 years as a consultant and educator, helping companies maximize spa operations performance in both front and back of the house, and consults on a variety of topics including operations issues, finances & compensation, marketing, inventory management, retailing, human resource development, and business process improvement. Lisa is also the Task Force Chair for the Global Wellness Institute Consulting Initiative, a Contributing Editor at Dayspa Magazine, a regular contributor to global trade publications, a highly-rated speaker at spa and beauty industry conferences, and offers spa management courses across the globe. Follow her @StarrTalk, or email lstarr@wynnebusiness.com.